So much of our Airstream is original and in such great condition we can’t bring ourselves to change much about it right now. The one thing I HAD to change was the window treatments, they aren’t original anyway. Someone obviously loved those dark brown silk damask curtains, and God bless them, but they had to go. 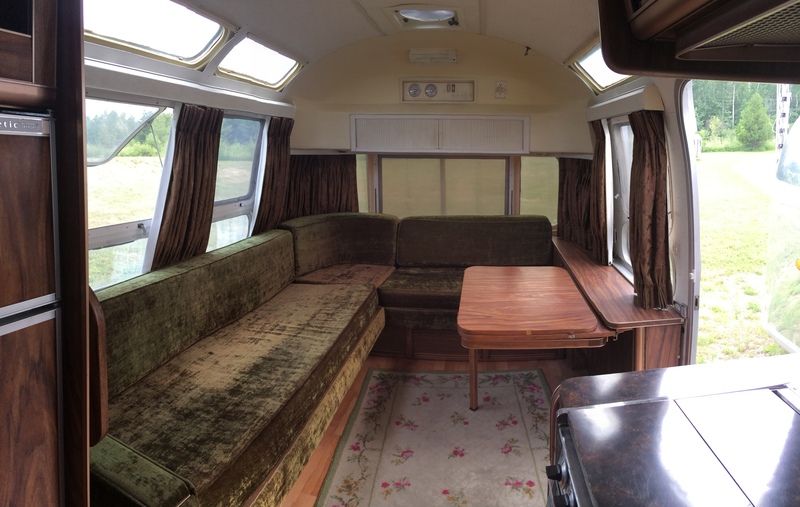 We lucked out and the woman who facilitated the sale of our Airstream does custom curtains and upholstery for Airstreams – and she is fantastic! She measured it while it was still at her house and then waited for me to send her fabric and then a few months later I had these beautiful curtains shipped to my house. 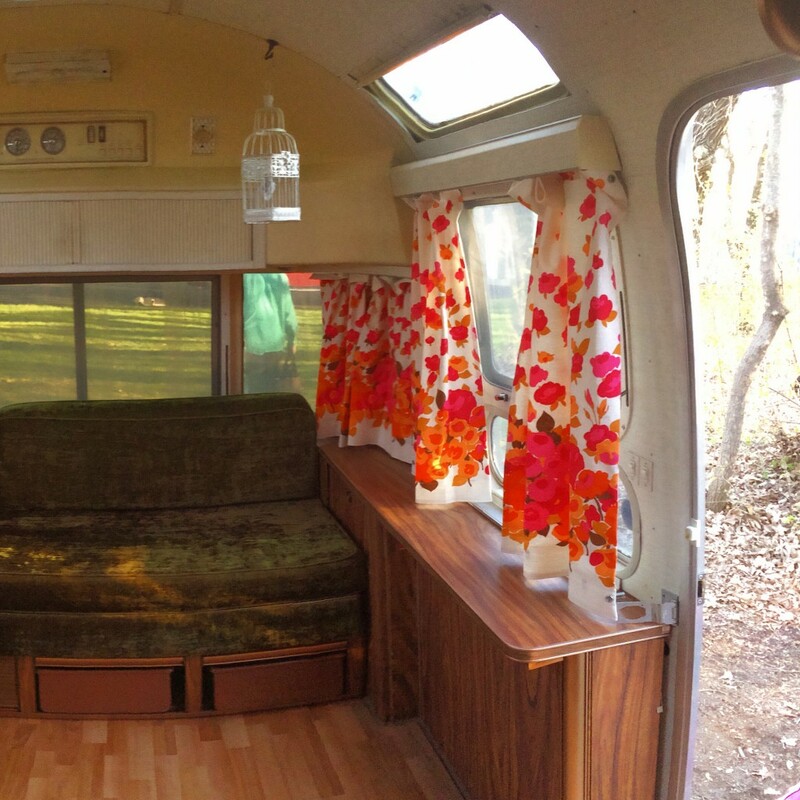 Our Airstream has tons of windows, so the window treatments are a major design element. And, custom trailer curtains are not cheap. It was really important to me that we get it right – I was just dying to get the new curtains up to see what they look like! 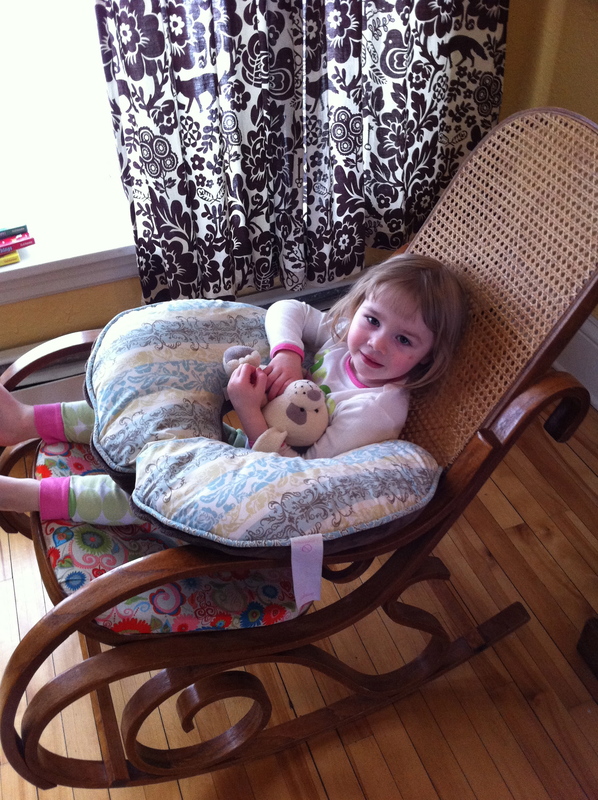 After: Happy, bright and fun! I purchased these curtains for the nursery before Ada was born. When we moved I hung them in their new bedroom. 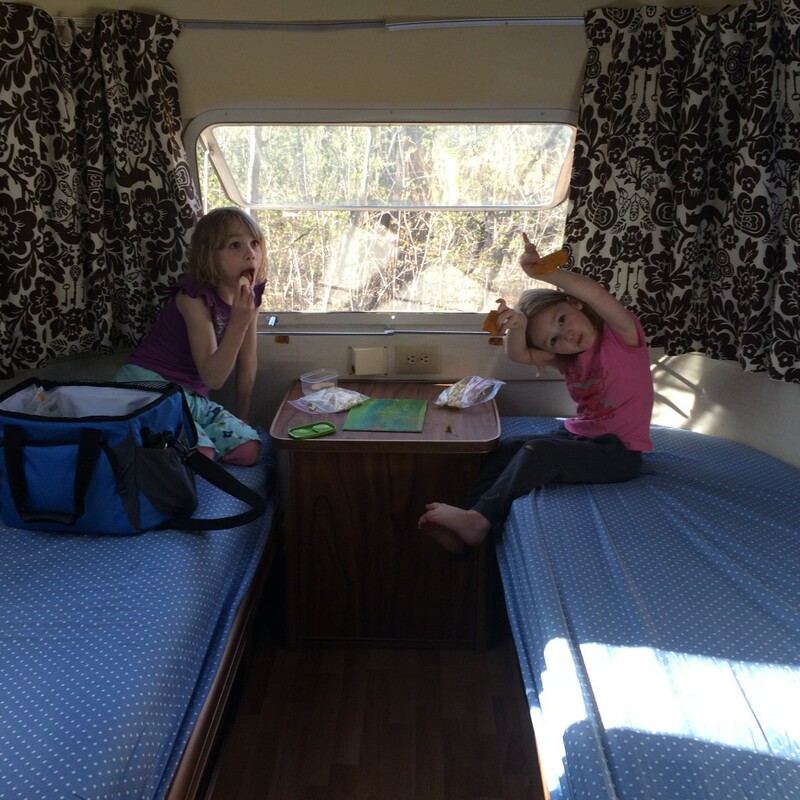 When we purchased the Airstream I had them turned into curtains for their room. I have spent a lot of time staring at these curtains while rocking babies to sleep, they are one of my favorite things. I just love that they have been with them their whole lives. Little Ada feeding her baby in her nursery. Baby Cora in the nursery. 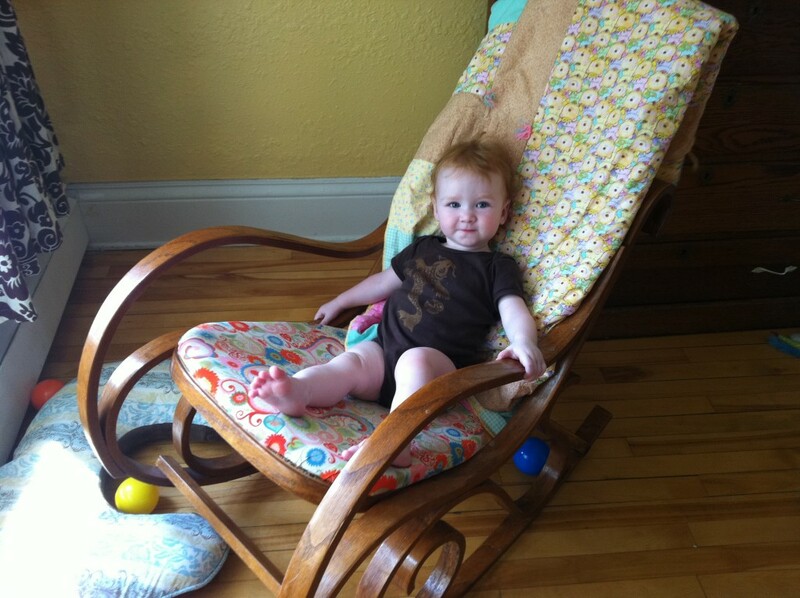 (Never pass up an opportunity to share adorable baby photos). 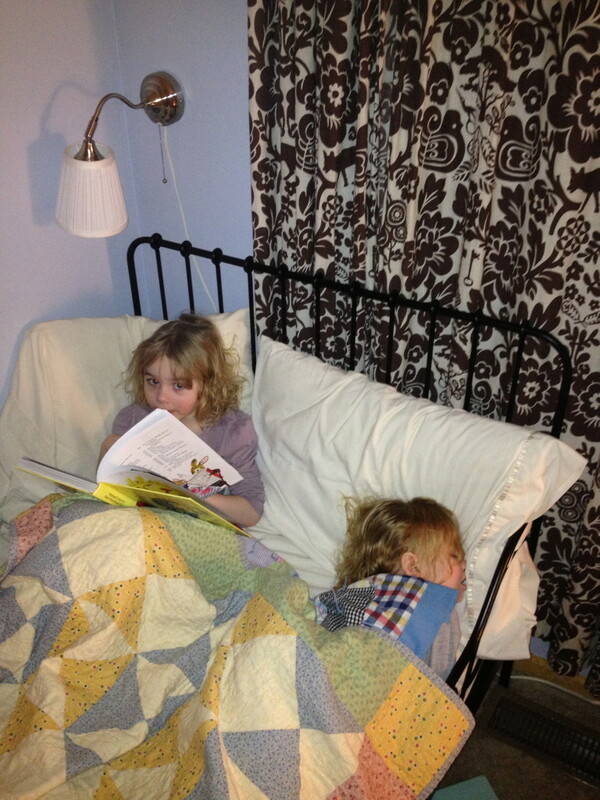 Ada reading Cora bedtime stories in their current bedroom. Our Airstream is currently being stored at Nick’s dad’s house which is perfect because Grandpa has plenty to entertain the girls on his property while we are working on the Airstream. 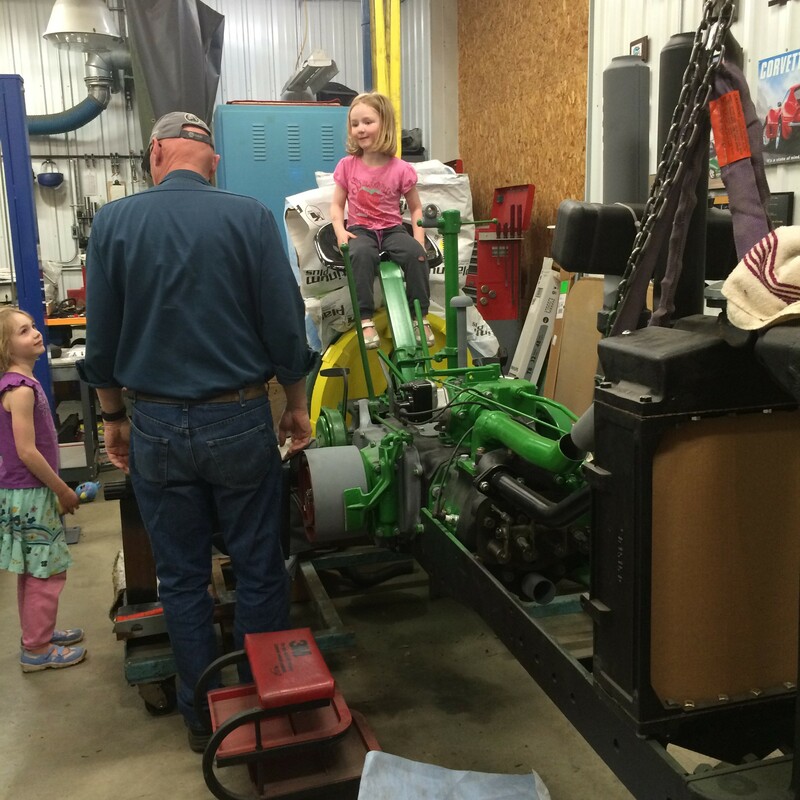 He lives on 11 acres – great for exploring nature, and he has this great big shop where he does all kinds of cool things like meticulously restoring antique John Deere tractors. 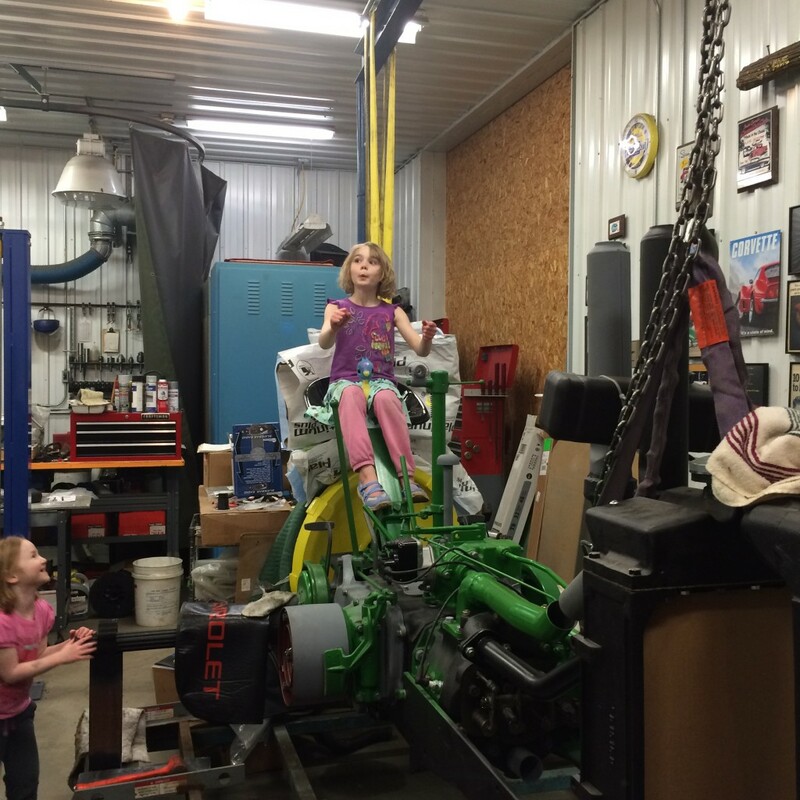 The girls got to take this one for a test drive. Love the curtains! They look cheery and perfect. I keep thinking what a great experience this must be for your kids! Thanks Ariana! I am so grateful for the opportunity to travel and explore with our girls!